This beauty chick is a little sad today -- my beloved Rescue Beauty Lounge is closing its doors at the end of June! So I simply had to stop in over the weekend for one last luxurious mani/pedi. 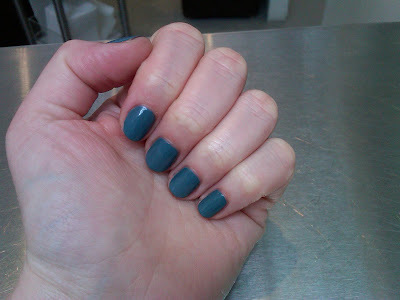 And my mani choice this week was the totally awesome 360, a beautiful deep aqua inspired by the surfer move. For fans of Rescue Beauty Lounge nail polish, don't worry -- it isn't going anywhere -- founder Ji Baek will still be creating her gorgeous colors every season, thank goodness! LOVE, LOVE, LOVE this colour....thx for sharing!